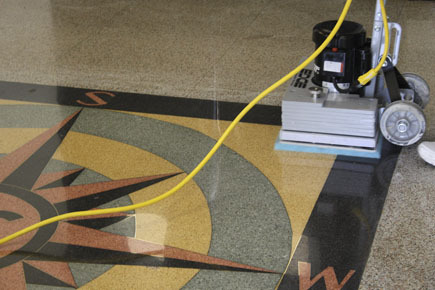 Tomcat EDGE® Commercial Floor Cleaning Orbital Scrubber Machine Can Polish Your Marble Floors! 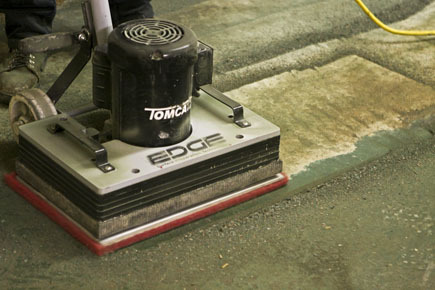 The Tomcat EDGE® commercial floor cleaning machine and all of its special application pads can even cut through the oldest Epoxy Paint you have. 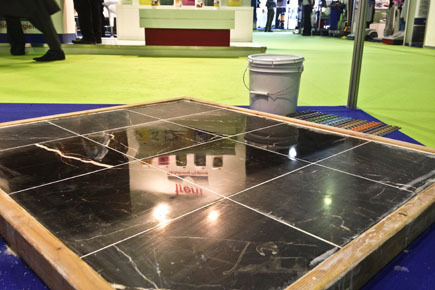 The Tomcat EDGE® floor cleaner can even get into your dirty tile and grout lines with our Tile and Grout Renovator Pad. 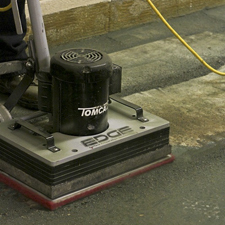 See the Tomcat EDGE Commercial Floor Cleaning Machine in action. 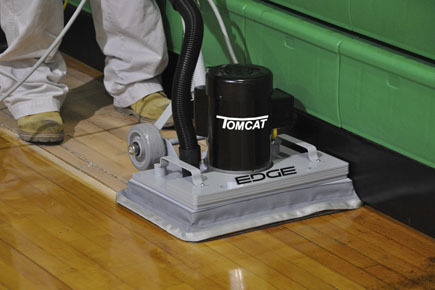 Tomcat’s EDGE Series of surface preparation machines gives operators the ability to remove multiple layers of finish, without using chemicals. 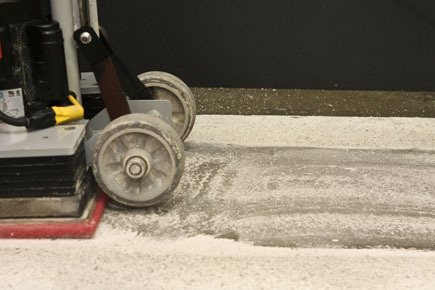 As we all push for new ways to increase our protection of the environment and operator, this new approach to floor preparation can help achieve increased productivity. The “ST” model’s lower rpm (1725) motor allows for dry use and therefore eliminate most water use. 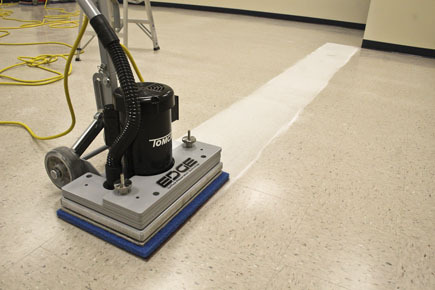 The “ST” model also is designed to be extremely quiet and used in sensitive applications like hospitals. 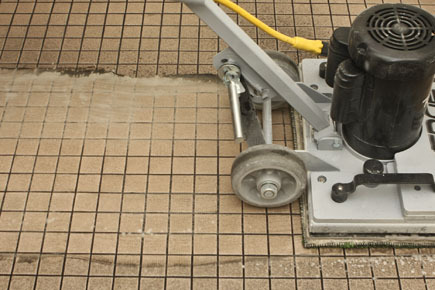 At only 62 dBA, it is an industry leader in reducing noise pollution and annoyance. The “HD” models higher rpm (3450) motor allows for increase weight and productivity. 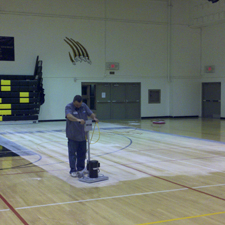 Originally designed to make quick work of gym floor screening. At less than 73 dBA the “HD” unit is quieter than similar units, and yet offers increased performance. 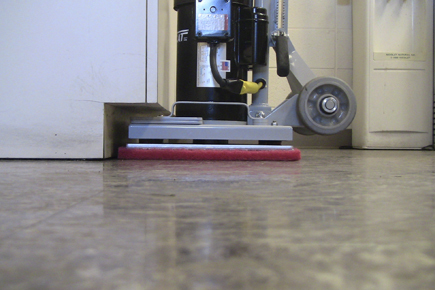 The higher rpm consistently achieves a smooth preparation scratch, and can extend sanding screen life over rotary machines. 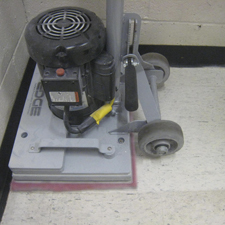 This unit can be used in the same manner as the “ST” unit for refinishing resilient tile floors, however we recommend the use our Dust Containment Kit.